Welcome to Stonegate of Muskegon Condominium Association Owners’ Website. 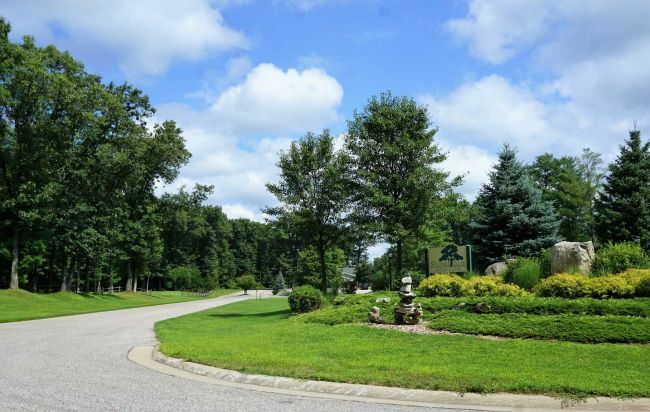 Stonegate is located in Twin Lake, Michigan, nestled in Cedar Creek Township adjacent to the beautiful Manistee National Forest. Within our community, Stonegate Golf Course and Clubhouse Grill offer an awarding winning round of golf and friendly encounters. Golf Advisor lists Stonegate Golf Course in its top 50 locations to play within the United States. Golfweek’s “Ultimate Guide To Golf Course Living and Great Escapes 2018”, lists Stonegate as one of the top ten residential golf communities in Michigan. This is one of the friendliest locations and picture perfect outdoor living sites you will ever consider. Along with the beautiful golf course, unique homes, well-manicured yards, and excellent location, this website is designed to make Stonegate an even better place to live and enjoy. We hope you will find this site and its information convenient, along with keeping you informed and more involved in the Association's day-to-day operations. The site includes easy access to the Association's By-laws, news, meeting dates and other informative information for your use. The website links will lead you to the information you want, and will also give you an opportunity to review upcoming events, access meeting minutes, and a place to make suggestions and/or comments. This site is accessible with a designated password and is intended for the sole use of the Association's co-owners. We sincerely hope this website makes living here even more enjoyable.